Since when is it OK to play games with the economy? 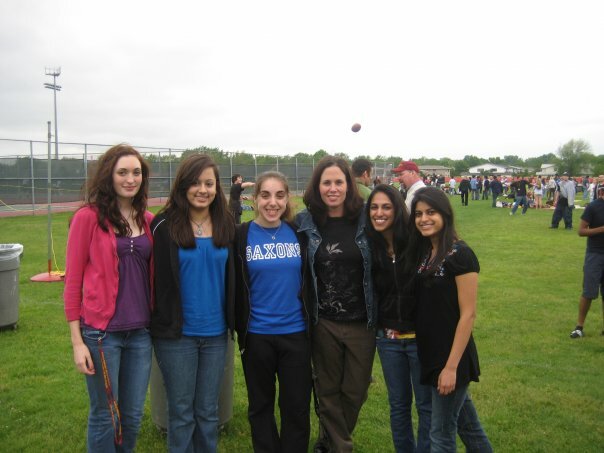 Me and my friends with our senior year AP Macroeconomics teacher. I'm sure she'd like to teach Congress a thing or two. Ok, I’m confused. I thought people who made economics their career might know a thing or two about the effect a default would have on our economy. I also thought that reasonable people knew when to defer to those who know better than they do, especially those who are as “educated” as our legislators. Looks like, for some odd reason, certain members of congress are refusing to listen to basically every rational person with an economics background in the country and instead play chicken with our financial credibility. I wonder if they realize that this is not just a political game; we could lose some of the value of our dollar, see a rise in interest rates and inflation, and say to the entire world that we are no longer trustworthy as a reserve currency. Any banker, comptroller, economist or person with a single introductory course in economics could tell you that. The debt limit has to be raised — that goes without saying. And raising that limit does not necessarily give Congress another 10 years to spend as they wish. It will allow the country to pay its bills and have some cushion to actually work for a real solution. I’m all about be efficient and speedy, but legislation strikes me as something that shouldn’t be rushed. So while I would not have originally supported a short-term solution in the past, now I see no other option, this being the 11th hour. Also, I don’t understand why education spending is always the first to be cut. You all know my feelings about teachers, but it still needs to be said that education is the single most important thing right now. When we don’t prioritize education, we get this hot mess. One of the biggest problems, I think, is that people don’t actually know what to believe; they can’t see through the political jargon, so they align themselves with whatever bluster strikes their fancy. So educate yourself and be heard. Below are some of my favorite articles published recently that explain what is going on. I know some take sides, but I do not think at this point that my leanings are a secret. Hopefully, our legislators will wise up and remember it is important to listen to their constituents, not their caucuses, interest groups or lobbyists. I want a government that puts me before it’s political shenanigans.